Cancun may have gorgeous balmy weather, white sand beaches and turquoise Caribbean waters, but this world-class vacation destination is more than just a place to work on your tan. Visitors can explore ancient Mayan ruins, travel to dreamy tropical islands, experience the underwater wonders of the Mesoamerican Barrier Reef System, fly high above the jungle canopy, swim in underground rivers or party the evening away during a lively boat tour of Mexican culture. 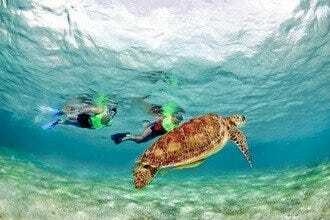 Cancun's tours and activities provide memories that will last a lifetime. Aquaworld Cancun is a PADI Dive Center that teaches scuba classes, but it also happens to be one of the largest and most reputable companies for fishing excursions, dive trips, and other water sports and activities, like swimming with dolphins. 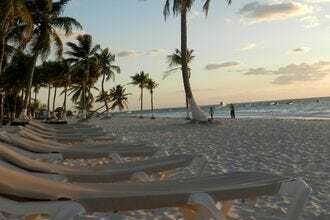 Day trips to nearby Isla Mujeres are very popular and fun. During the summer months, when whale sharks migrate to the waters north of Cancun, Aquaworld offers tours to swim with these gentle giants in the open sea. The Skyrider, Aquaworld's version of parasailing, is another enjoyable, once-in-a-lifetime activity that you can try while in Cancun. Traveling with kids? The SubSee Explorer is perfect for little ones or non-swimmers. Xochimilco is a popular tourist attraction in central Mexico, and now Experiencias Xcaret has created its own version right in Cancun, just five minutes from the airport. At Xoximilco (the "ch" changed to an "x"), visitors enjoy the best of Mexican cuisine, music and culture while riding on "trajineras," colorfully decorated gondola-like boats. All courses and aguas frescas (fresh fruit drinks), beer, tequila and soft drinks are included. The tour culminates with all trajineras gathering together for a lively party. This is a fun, one-of-a kind tour that highlights the best that Mexico has to offer. 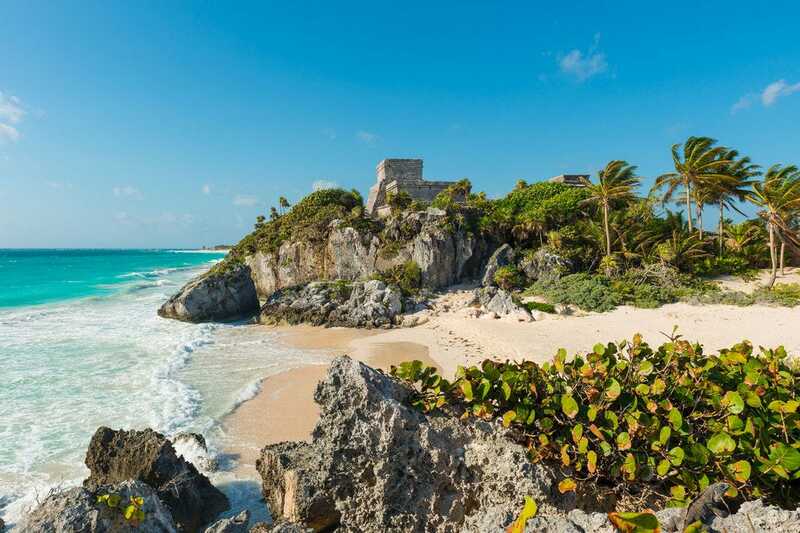 Another popular Mayan ruin site, Tulum is located a bit closer to Cancun than Chichen Itza, roughly 2 hours south. This is a smaller site and can be seen in about an hour, but it's worth the trip simply for the breathtaking views. The Mayans knew good real estate when they saw it and the main pyramid of Tulum sits on a cliff above an amazing beach. Once a major port for the Mayan empire, the ruins site is the main attraction of the growing town. 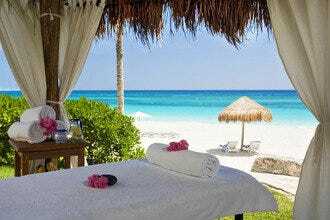 Tulum also boasts a downtown area (Tulum pueblo) and a bohemian "hotel zone" with relaxed cabana hotels and open-air eateries. 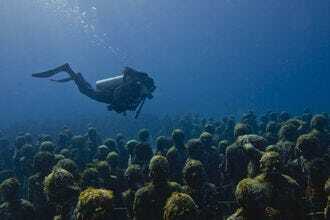 Carey Dive Center is located on Isla Mujeres (Island of Women). 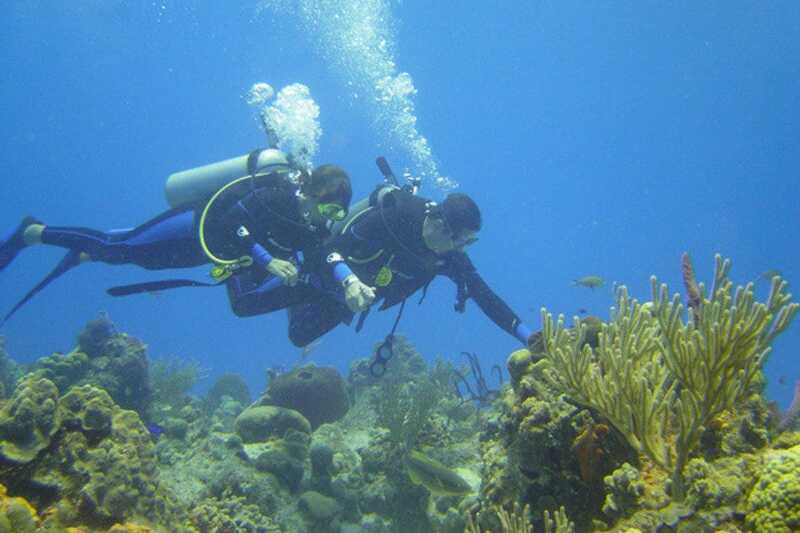 They offer scuba diving, PADI diving courses, snorkeling, fishing, whale shark tours and cenote visits. This is one of the most well-established and experienced dive shops on the island, which is located just off the coast of Cancun. Gilberto Pat Hoil is the owner of Carey Dive Center and also the PADI scuba dive instructor. He has been awarded by PADI for 20 years of outstanding service and is one of the most experienced scuba dive instructors on Isla Mujeres. 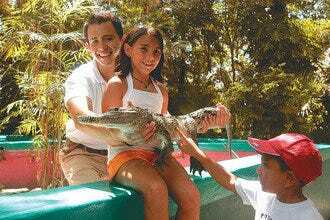 This eco-park is part of the Experiencias Xcaret family (Xcaret, Xplor, Xenotes, Xoximilco). 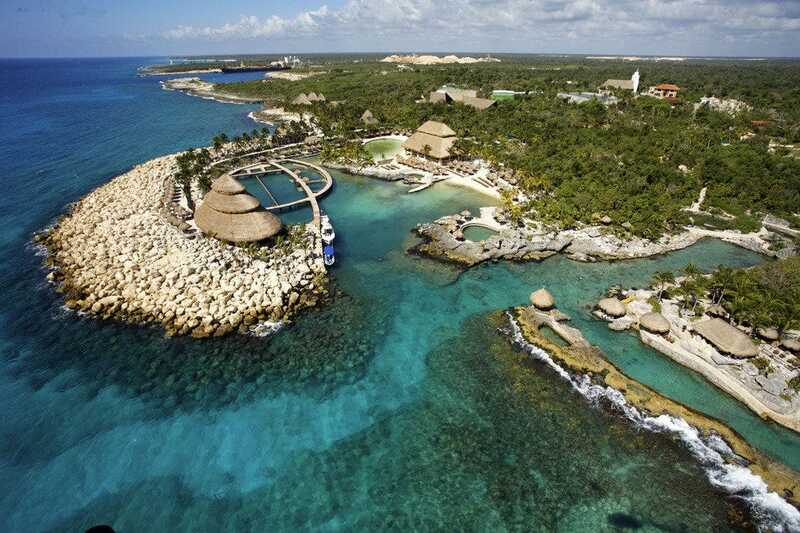 Xel-Ha boasts the "largest, most beautiful natural aquarium in the world." You can swim in grottos & cenotes (natural sinkholes)and see local sea life, explore Mayan ruins, jump off the Cliff of Courage, cross the floating bridge, ride bikes or fly kites. There are plenty of other activities and exhibits to keep you occupied for the entire day or you can simply spend your time relaxing in the sun or napping in a seaside hammock. Xel-Ha features a delicious buffet restaurant and offers a children's area. Chichen Itza is by far the largest and most impressive Mayan archaeological ruins site in the region. It was voted one of the New Seven Wonders of the World in 2007. 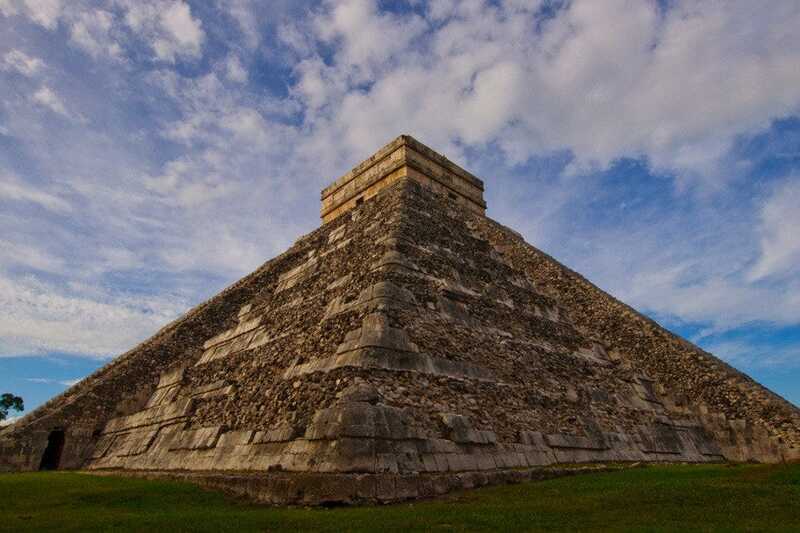 If you only have time to take one sightseeing excursion while on vacation, visit Chichen Itza. You'll not only learn a bit about the Mayan people and Mexican history, but you'll see a cenote where human sacrifices were performed and stare in awe when you see the massive structures that were built with only manpower and crude tools. Bring water, sunscreen, lightweight clothing and a hat. It's hot out there in the jungle! 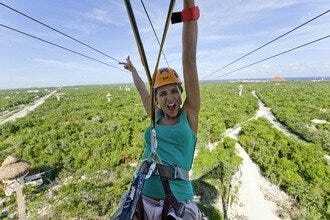 Xplor is a natural eco-adventure park located in the Riviera Maya, just south of Playa del Carmen, and is part of the Xcaret family. 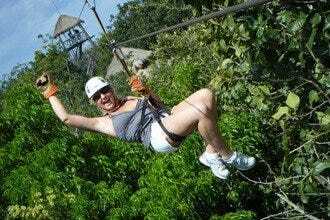 Activites include over two miles of zip lines, amphibious vehicles and underground rivers that feature amazing stalactites and stalagmites created over millions of years. Recover from all the action in the buffet restaurant which features international favorites or the snacks bar which serve yummy juices, smoothies and cookies. Xplor is the place to find safe adventure in Cancun, Playa del Carmen and the Riviera Maya. Xplor is not for couch potatoes! Pronounced "Sh-car-ret," this eco-archaeological park is filled with Mexican and Mayan flavor, color, music, nature and culture. Inside the park there is a butterfly pavilion, an aviary and an aquarium, as well as places where you can view flamingos, manatees, spider monkeys, jaguars and more. If that's not enough, you can also swim with dolphins, float down a lazy river, swim in underground rivers, climb a small Mayan ruin, visit the traditional cemetery, snorkel in the inlet and relax on the beach. For kids, visit Children's World aka Mundo de Niños. There are performances throughout the day, but Xcaret's night show, a celebration of Mexican and Mayan history, sport, dance and music, is an unforgettable experience and is not to be missed. The park holds amazing annual events like a Day of the Dead festival and the recreation of an ancient Mayan ocean crossing to the island of Cozumel. It only takes a 15-minute boat ride to travel to one of the most popular day trip destinations near Cancun: Isla Mujeres. The island's popularity is largely due to its dreamy beaches and laid-back island feeling. You can book a tour with one of several guides who provide lunch and drinks. Those willing to go it on their own can catch a water taxi or ferry to this tropical island paradise. The downtown area is a charming mix of shops and restaurants. 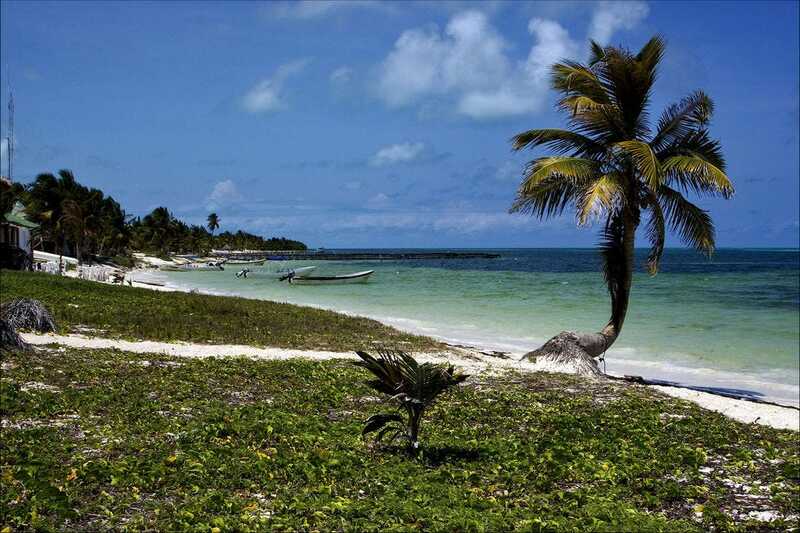 Rent a golf cart, circle the island and visit Punta Sur, the easternmost point of the country of Mexico.